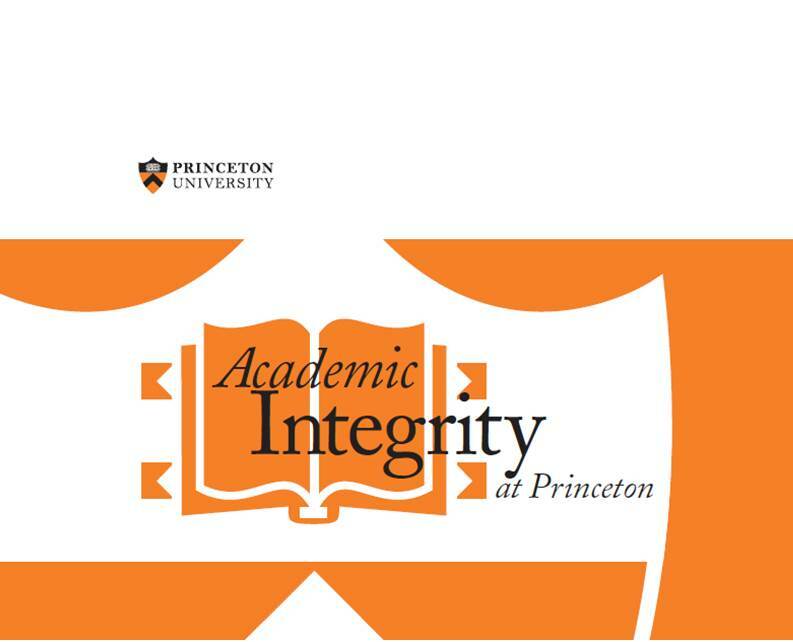 Oct. 1, 2018 4 p.m.
A new faculty-student committee will consider long-term recommendations to modify the academic integrity system at Princeton University. The Faculty-Student Academic Integrity Report Reconciliation Committee will reconcile recommendations made in separate reports by the Honor System Review Committee and the Disciplinary Review Committee. The committee will include faculty, students and administrators. Committee members will be appointed and a chair announced shortly. At the center of academic integrity at Princeton is the Honor Code, which was started by students in 1893. Students take all in-class exams and quizzes without a faculty proctor, assuming full responsibility for honesty. Reported violations of the Honor Code are reviewed by the student-led Honor Committee. All other academic violations, such as papers or take-home exams completed outside of class, are reviewed by the Faculty-Student Committee on Discipline. The Honor System Review Committee met last academic year to evaluate Honor Committee policies and procedures, while the Disciplinary Review Committee worked separately to assess the undergraduate disciplinary system governing academic work and personal conduct. The Honor System Review Committee also considered three student referenda to alter Honor Code penalties and violations. In March, the committee recommended against the referenda. The Faculty Committee on Examinations and Standing has concurred, and the Honor Code referenda posed by the Undergraduate Student Government will not move forward. The new Reconciliation Committee will now consider some of the proposals to improve academic integrity that have emerged this past year. The committee will reconcile a range of recommendations made by the Honor System Review and Disciplinary Review committees. The committee will submit its final recommendations to Dean of the College Jill Dolan, Dean of the Faculty Sanjeev Kulkarni and Vice President for Campus Life W. Rochelle Calhoun. The administrators will decide whether any recommendations should be brought to a faculty committee for further discussion, or if the recommendations may be forwarded to the full faculty for discussion and a vote. In the meantime, work is in progress to implement other ideas to improve academic integrity procedures and ensure students and faculty are aware of their responsibilities under the Honor Code. Examples include: ensuring that exam policies are restated before each exam, establishing a standardized language for calling time at the end of an in-class exam, and better informing course instructors about the Honor Code.